Leuven, Belgium. 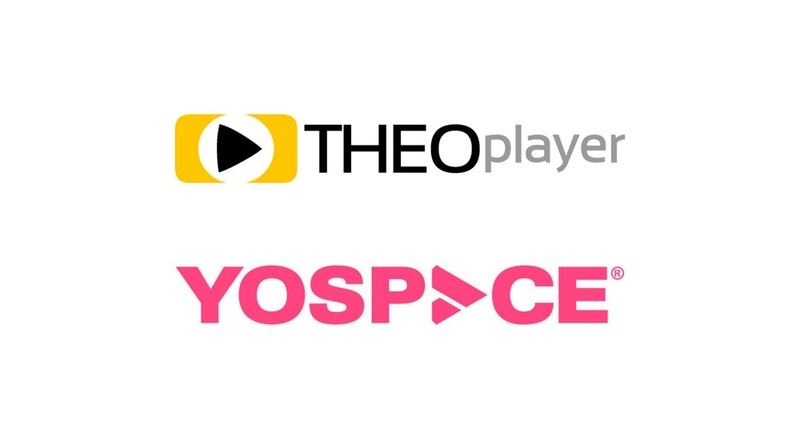 THEOplayer and Yospace, the industry leader in Dynamic Ad Insertion technology, have announced a partnership that enables server-side ad replacement across live channels in HTML5. The solution, which works in both HLS and MPEG-DASH environments, offers broadcasters a clear route to monetising live streams across all major platforms and devices, avoiding the headache of device fragmentation which has complicated the route to market until now. Server-side ad replacement has become a crucial tool for broadcasters in monetising their online channels. Without it, as in the case of live sports, viewers can be watching for a number of hours without seeing any ads that are sold for online. Yospace’s platform allows ad breaks to be replaced in a way that is smooth and frame-accurate, providing an excellent user experience for the viewer while opening up a huge amount of inventory for the broadcaster. Content protection is another key component in digital strategy for the broadcaster, particularly those with rights to live sports or major events. THEOplayer integrates seamlessly with streams secured by Widevine, PlayReady or FairPlay DRM systems, ensuring the integrity of the content is maintained across all key platforms. David Springall, CTO, Yospace, commented, Our partnership with THEOplayer represents a perfect marriage between the needs of the broadcaster and viewer. Live streams are monetised in a way that is undisruptive to the experience of watching live television online, and we can finally enjoy consistency across major platforms and devices. We are excited to work together with Yospace, industry leader in Dynamic Ad Insertion technology v said Maarten Tielemans, CPO of THEOplayer At THEOplayer we believe that Dynamic Ad Insertion is the future of online content monetisation, and this partnership ensures that THEOplayer and Yospace DAI can be used together seamlessly by online publishers such as OTT operators and broadcasters. Together with Yospace, we now make it possible for content owners to optimally monetise their content across all platforms and devices in HTML5, while offering a world class viewer experience. THEOplayer, the leading HTML5 based video player, is delivering a world-class viewer experience with no plugins. THEOplayer is a HLS and MPEG-DASH player fully based in HTML5. It removes the need for plug-ins such as Flash or Silverlight, or streaming video content with multiple protocols. THEOplayer has proven compatibility with industry-leading solutions for streaming, DRM and Dynamic Ad Insertion. It dramatically simplifies distributing video content online. Yospace services major broadcasters and network operators throughout the world, including DirecTV in the US, Sky Media, ITV, Channel 4, STV and UTV in the UK, BFMTV in France, Canal 13 in Chile, TV4 in Sweden, Channel 9 and Network Ten in Australia, and TV3 and TG4 in Ireland.